2003 - 2018 - . . .
..i call a project that i’m wearing in the back of my head since my first K.O.G. letter in March 2016. The idea for this kind of map appeared while asking myself, and sharing this question with local African and European friends here in Lecce, which “good product” we could invent for the street vendors – the mainly African and Asian immigrated people, who work hard to try to survive by selling their stuff on the streets.. or in summer, at the beaches. in a way this project started already in 2003 within c a l c and was then called geografia affettiva. it turned into T.R.A.M in 2007 in Seville (were, in collaboration with Santi Barber and Pamela Campagna, it wanted to become a bimonthly-activists-city-map), and became LECCEBILITÀ in 2014 when i made a 1st proposal to the people in the town hall of Lecce. But the time was not yet ripe, and i had to move first to Lecce , and repeat the proposal from the inside out. 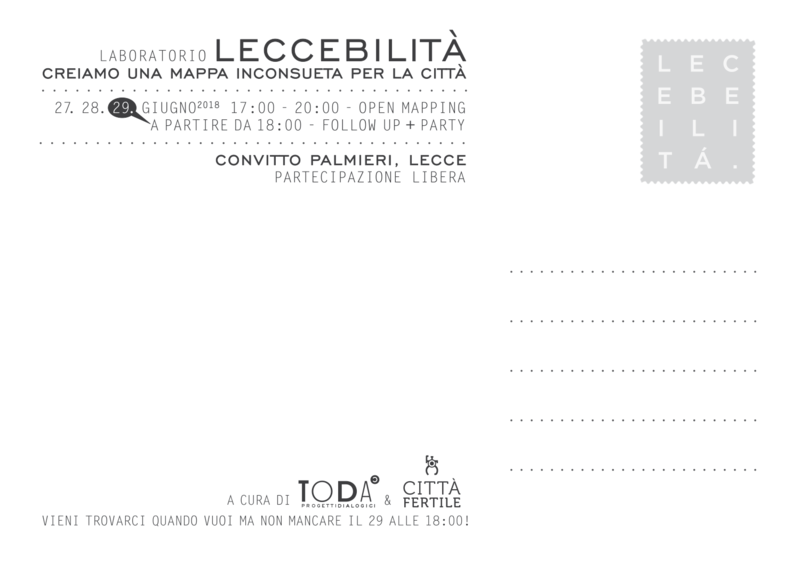 LECCEBILITÀ is a wordplay with LEGGIBILITÀ – italian for readability. 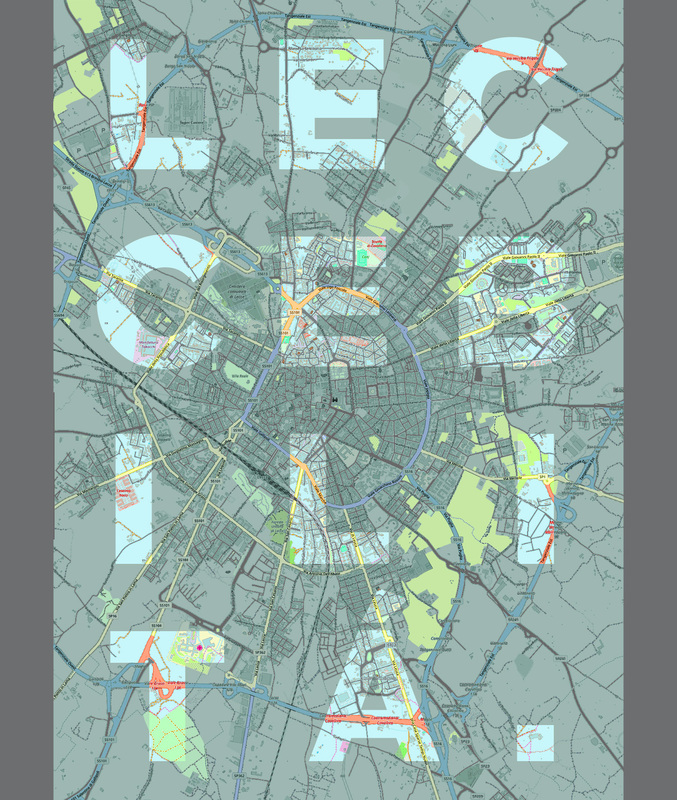 The idea is to make the city more legible and accessible via an “intersubjective city map”. It is clear that this map will already be outdated on the day of its publication (as all city cartographies are), but the most important (and why we don’t think primarily of an online version or app*) seems to me to be the “good product” in the right hands – a direct constructive-solidly-united-contribution from the art-side to the needs and miseries of those street vendors. by infographic map of Lecce i mean a city map that isn’t limited on the visualization of orientation within static conditions and its conventional identity points (dome, churches, squares, museums, etc. ), but is concentrated on the cultural and social movements and relationships of the city in a local and (trans)national context. 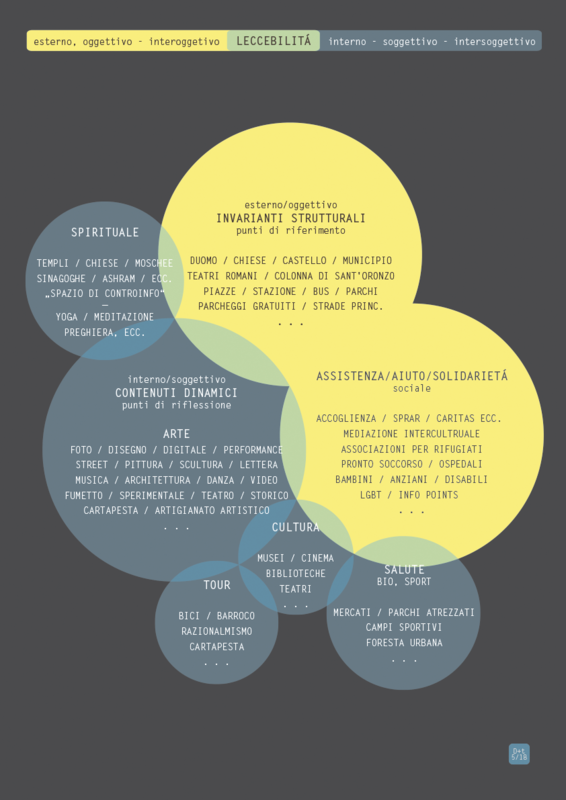 so this infography does not want to share anything monumental or “worth seeing “, but the unconventional, the emerging, the “foreign”, the intermediate, the empty spaces, the knot- and focal points – in short all those relativities and contingencies, which otherwise are difficult or even impossible to find. but first of all: which significantly increase the probability that we meet each other. basically, LECCEBILITÀ is a translation of all essential components of what we were trying to do with the projects in nessunconfine into a completely different format. to a certain extent i’m moving back to a starting point as well – where projects and formats were less complex and more independent and easier to develop for me. the realized city map (i hope we can make until late autumn) will be again exclusively sold by (mainly) African street vendors – just like i decided with the sale of the small book on the 1st big summer party of the world citizens, where the profit of the sale remains 100% in the hands of this vendors, and was financed partly by my K.O.G.crowdfunding as well. 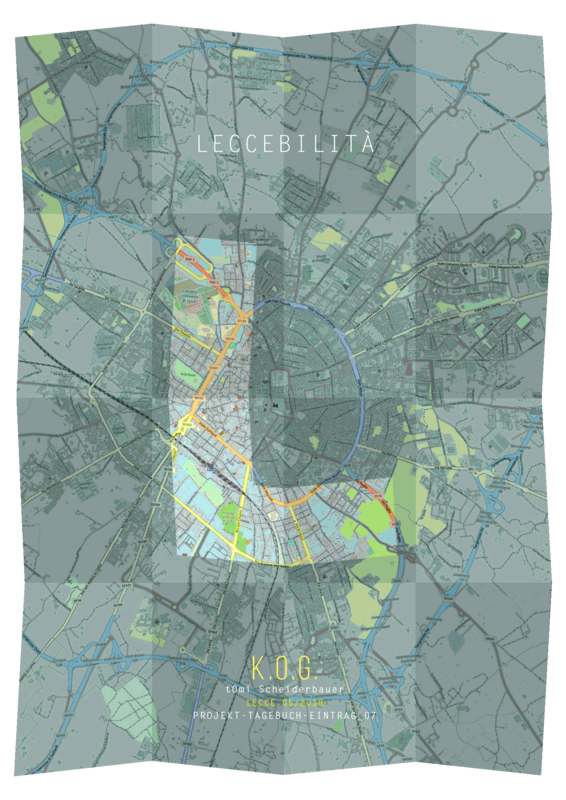 *a last important point refers to the copyright of LECCEBILITÀ, which we want to associate to a Creative Commons license with a charitable orientation – so the prerequisite map will be an “Open Source Graphic”, provided free and without any fees; depending on how the project develops, how the map arrives to the refugees-inhabitants-tourists, how they accept and use it, and what ideas it may generate for further editions to follow, it can be assumed and developed by others if it remains in the associated CC-license terms. 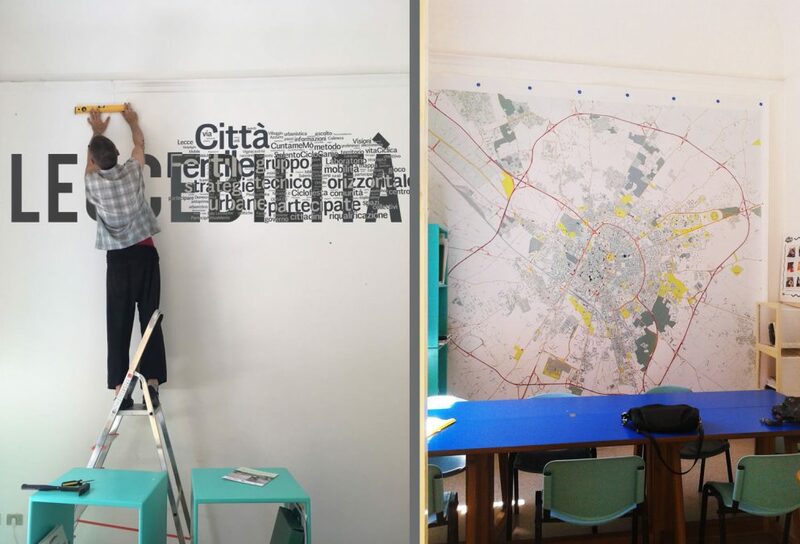 i am very happy i could win great partners for the workshop and the realization of the map – Daniela de Rosa, an architect from Lecce, who works closely with me in every step and every decision, and the team of Città Fertile (Fertile City – Donata, Lea, Francesca, Rino, Alberto and Federico), who will help us in all these steps with their wealth of experience. Find some images on the workshop here. Many thanks to all my friends and supporters in K.O.G. and the Vorarlberger arts commission for taking over the production (printing) costs of the map!